Dorothy Dearing was another dancer who broke into movies, but found little success in her new career, managing plenty of uncredited roles. However, after Dorothy turned her life around and remade herself for the second time, this time as a succesful businesswoman. Bravo to her! Now, let’s hear her story! Dorothy Dearing was born on April 17, 1913, in Parachute, Colorado, to Erdix Dearing and Elizabeth “Bessie” Wilson. Her father worked as a commercial inker. Her older brother, Erdix, was born in 1912, and her younger brother, Edward, was born in 1916. The family moved to Alhambra, California not long after Edward was born. Dorothy attended elementary and high school there. Her father died in 1925. Her mother rented the house to tenants for some extra money, but in order to feed the family, both Erdix and Dorothy had to go to work. Erdix worked as a salesman in a drug store, and Dorothy was a dancing teacher (at only 16 years old!). Her love for dancing soon overrode everything else, and, after she graduated from high school, she set her sights to Hollywood and left for Los Angeles with her mother. Dorothy was one of those actresses that didn’t land a contract right away, in fact, she danced in Busby Berekeley’s shows by night, worked as a secretary by day and went to as many auditions as she could, visiting tons of casting agents. One of them gave her a chance, she got a movie contract and started her career in 1933 for 20th Century Fox. Dorothy appeared unciedted in fluffy, happy-go-lucky musicals – Dancing Lady, Redheads on Parade and Song and Dance Man. As she was a trained dancer, this was probably easy-peasy for her. All of these movies are no works of art, but are more than fun and nice on the eyes. Dorothy then turned to a bit more serious fare with Girls’ Dormitory, an insipid drama-romance about a (gasp) girls dormitory, with Simone Simon in the lead. Tyrone Power was a secundary male character then. Then, Dorothy took a year-long break from movies (I guess it was for martial reason, but can’t be sure), and returned in 1938. Her first movie was Alexander’s Ragtime Band – and guess who was the lead? Tyrone Power, of course, in one of his Alice face musicals. It’s a pretty good movie, especially interesting to nostalgia people. 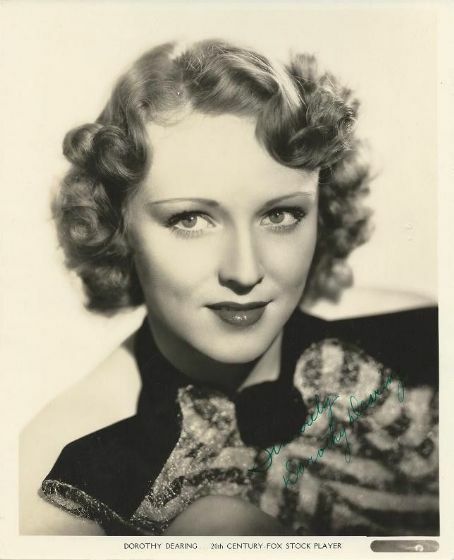 Dorothy then had her first credited role in Up the River, a likeable and lively comedy about con men who work their own football team (the story was remade later with Spencer Tracy). For more about Tail Spin, perhaps the pinnacle of Dorothy’s career, read the Private life section. It’s Stage door just swap acting with aviation. Dorothy then had another credited role in the mediocre drama Wife, Husband and Friend, one of the tons of Loretta Young movies from the 1930s (that almost nobody remembers today). Dorothy then appeared in Hotel for Women, one of the best women’s movies of the 1930s, with the young Linda Darnell in the lead (who goes on to live in the hotel for women), and an impressive supporting cast to boot (Ann Sothern, Jean Rogers, Lynn Bari, June Gale)… A year later, Dorothy also appeared in the sequel – Free, Blonde and 21, and this time Lynn Bari had the cake! 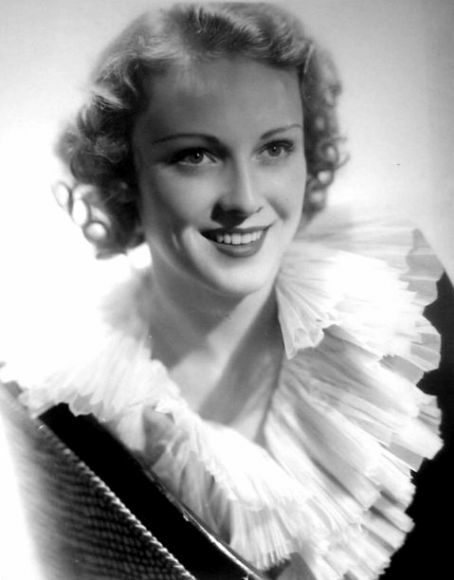 Dorothy returned to musicals in the pastiche Hollywood Cavalcade (with Alice Faye in the lead, again), and the so-so biographical movie, Swanee River, about songwriter Stephen Foster. She then appeared in a rare Lynn Bari vehicle, City of Chance, a mid tier comedy/drama about a girl going to the big city so she can save her boyfriend from becoming a gambling addict. Next up was the pale remake of Wizard of Oz – The Blue Bird, with Shirley Temple. Nothing special to see here, so skip unless you are a Shirley fan. Then there was Girl in 313, a typical B movie, blend of crime, heist and romance, with the evanescent Florence Rice in the lead, playing a jewel thief. It was followed by The Great Profile, a thin but highly amusing movie in which John Barrymore spoofs himself, playing an alcoholic former movie star. I like Barrymore – he was a superb if a bit overtly dramatic actor, but his last years were truly a study in a wasted life. Then Dorothy was in Murder Over New York, a mid tier Charlie Chan movie. Dorothy captured some roles in higher up movies with Hudson’s Bay, an epic movie about early Canada (with Paul Muni, truly a gem among actors! ), Tall, Dark and Handsome, a well made comedy/crime film with Cesar Romero and Virginia Gilmore (too bad about her – she was a capable, good actress, but was overshadowed by her husband, Yul Brynner). Dorothy appeared in another Alice Faye movie, That Night in Rio – same old same old, shallow overall, but fun, elegant and pleasing. She continued with more musicals – The Great American Broadcast, another same old same old Alice Faye vehicle, Moon Over Miami, a surprisingly charming Betty Grable musical (I was more interested in Carole Landis, who plays Betty’s sister – she was truly a stunner!). Dorothy last string of movies were crimes or dramas. She appeared in the lesser movie, We Go Fast, a completely forgotten Lynn Bari movie where she plays a waitress who falls for the wrong guy, and in a better one: I Wake Up Screaming, a top-tier film noir, with a solid story (watch it to see it!) and a cast of not very talented actors who actually give above-average-performances (for them at least). Neither Betty Grable nor Victor Mature knew how to act, but here it works. Dorothy’s last movie was Thunder Birds: Soldiers of the Air, another William Wellman aviation movie, a must see for fans of the genre and a good-enough movie for the rest of us. Ten minutes daily for a period of a month in training the muscles of the abdomen will do much to help the not-so-perfect figure Simply contract and relax , the muscles, slowly and systematically, and after a while improvement should be evident. Each noontime at Twentieth Century-Fox, four young stock actresses—Alice Armand, Dorothy Dearing, Irma Wilsen and Helen Erickson—lunch with ex­ star Mae Marsh and chatter like so many magpies. Having often wondered at such conversational pep, I finally mustered courage to ask Mae, pointblank, what they had talked about. “Well, said she, “Today we discussed (1) Alice Faye’s new hairdress, (2) the rumored romance of Sonja Henie and Alan Curtis, (3) the new composition stockings, (4) possible use of the same material for undies, (5) winter wardrobes and (6) three other things that are none of your business!” Guess femmes are femmes—even if they are actresses. Tailspin party involves more than 5,500 miles of airline travel. In each key city visited the party will deliver prints of “Tailspin,” which stars Alice Faye, Constance Bennett and Nancy Kelly. Some of the personalities to visit Detroit will include Ruth Nichols, famous speed pilot, who has established many of her air speed records right here, and Margo Bain Tanner, world’s holder title for a speed record. Others in the visiting party will include Dorothy Dearing, Joan Valerie, Lillian Porter and Helen Erickson, youthful stock actresses from the Twentieth Century-Fox studios. The fliers and Hollywood starlets will spend Saturday night and Sunday morning in Detroit. They’ll be guests at a buffet supper at 7 p. m. Saturday at the Book-Cadillac Hotel, together with Detroit and Michigan members of the Ninety-nine Club, officers from Pelfridge Field, civic dignitaries and newspaper men and women. Sometime in the 1930s, Dorothy was married, but I could not find any information about the groom nor indeed how long did it last. What I do know that by 1940, she was divorced and living with her mother, Bessie, in Los Angeles. 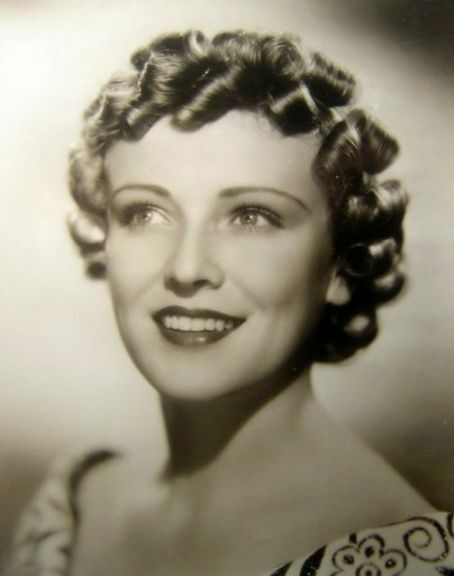 She also dated comedy writer Curly Harris for a time in 1937. Dorothy Dearing and former actor Roland Drew began dating in 1944, while he was still serving in the US Army. After a brief engagement, they married on August 12, 1946, in Los Angeles. Roland was born, as Walter David Goss, on August 4,1900, in New York, to David Goss and Elizabeth Kennedy. His father was English. Roland, in silent days, played opposite such stars as Dolores del Rio and Gloria Swanson. Later he was prominent as a character actor on the screen and in radio. He gave up acting by the time he married Dorothy. He enlisted as a private in September 1942 during World War II. This was his first marriage. Their son Damon Dearing was born on April 13, 1947. Dorothy left acting for good by that time, and focused on her family and her import business. 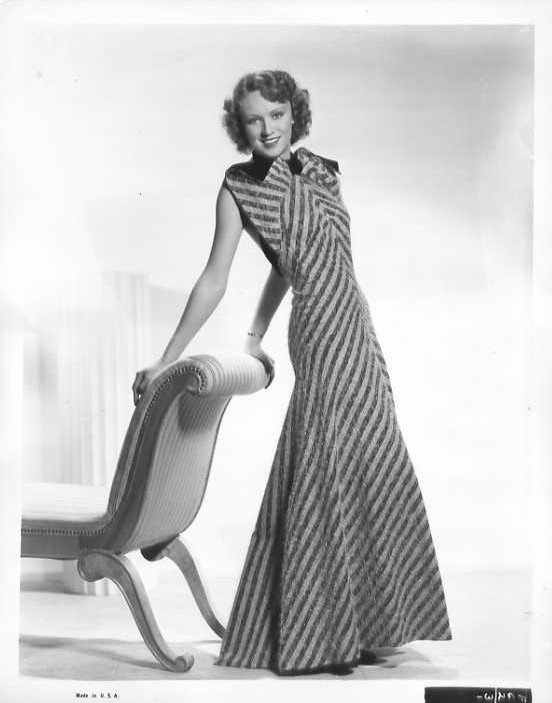 Drew became a renown dress designer in California, catering to the posh ladies, and was very famous and successful. IMDB alleges that Dorothy became an alcoholic, and this contributed to her premature death. Dorothy Dearing Drew died on April 19, 1965, in Beverly Hills, California. Her widower, Roland Drew, died on March 17, 1988 in Santa Monica. Hi bdrew? What Information do you need, could you be more precise? I’ll gladly share any information I have. Cheers! I think I spotted her in Fox’s Pigskin Parade (1936).